To live a fulfilling life, coping with tinnitus is necessary. 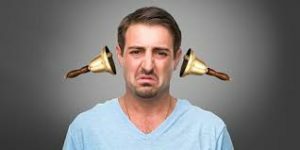 Tinnitus can be very distressing if one does not know how to cope with it. There are a few things that studies have proven help patients cope with tinnitus from CBT to Masking devices. CBT is very helpful because it helps to retrain the way you think about life and how you cope with situations. It was originally made for people struggling with depression and other mental disorders but has proven to be helpful for tinnitus patients. 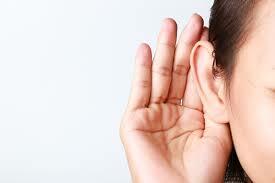 To learn more about CBT please read our article about CBT and how it can improve your tinnitus. We also have written an article named ‘’Treatment options for Tinnitus’’ to help you understand that there are treatment options and how to go about them. White noise machines. These machines make sounds that mask the ringing in your ears. From ocean waves to static noises are available for you to use. I have heard many people tell me that it helps them to sleep at night. It has been proven that ocean waves are very relaxing and can help patients to wind down and sleep all through the night. Hearing aids. These can be especially helpful if you have hearing problems as well as tinnitus. But please note that hearing aids do not always help with tinnitus. Masking devices. Worn in the ear and like hearing aids. They are a mixture of heating aids and white noise machines. It makes sounds like ocean waves and the like in your ear that drowns out the ringing. Tinnitus retraining. A wearable device delivers individually programmed tonal music to mask the specific frequencies of the tinnitus you experience. 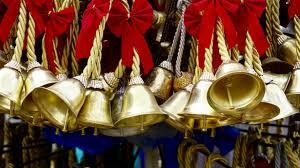 After a while, you may not even be able to hear the ringing anymore. Counseling is often a component of tinnitus retraining. Tricyclic antidepressants, such as amitriptyline and nortriptyline, have been used with some success. Keep in mind these are typically only used for severe tinnitus, as they can cause troublesome side effects, including dry mouth, blurred vision, constipation and heart problems. Contact us for a professional to speak to so that you can know what medication may be proper for you. Avoid possible irritants. Reduce your exposure to things that may make your tinnitus worse. Common examples include loud noises, caffeine, and nicotine. Manage stress. Stress can make tinnitus worse. One can benefit from acquiring a calming self-care routine. Focus on calming yourself and do things that you know will calm your mind. The more stress you feel the louder tinnitus tends to get so make sure to take time to breathe and calm your mind. Reduce your alcohol consumption. Alcohol increases the force of your blood by dilating your blood vessels, causing greater blood flow, especially in the inner ear area. And those with pulsatile tinnitus will find this to be very distressing. Please dial back on alcohol consumption. Contact us today to schedule an appointment to treat your tinnitus. We can help you on your way to improving your life and mindset.